In this world, someone stands behind.. Silently loving us. Reaching out His hand when we've fallen; Encouraging us when we we're tested and in fear; Understanding us when no one does; Pointing us the light when we're in the dark. 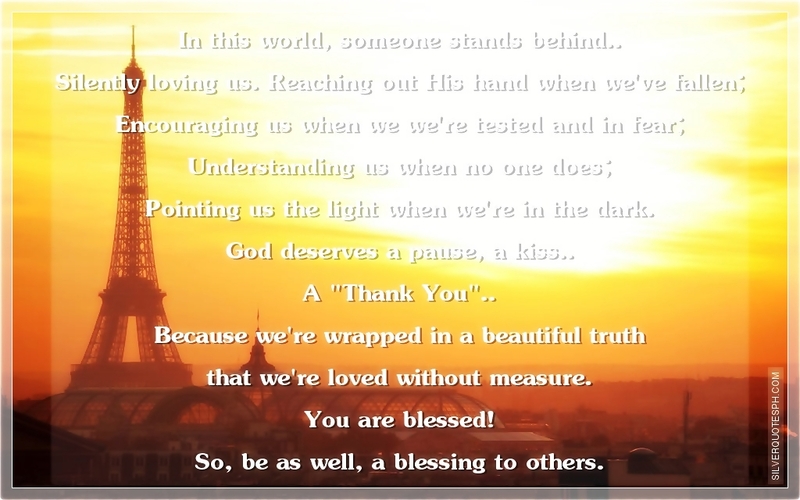 God deserves a pause, a kiss.. A "Thank You".. Because we're wrapped in a beautiful truth that we're loved without measure. You are blessed! So, be as well, a blessing to others.